Tanner Foust is a multi-talent racing driver, stuntman, and TV host. An engaging personality with a degree in Biology (don’t ask us but we think that means he’s smart, or something), he’s well-suited to represent the best this industry has to offer. Of course, we were pleased when we found out he wanted an ​auto lift from BendPak. 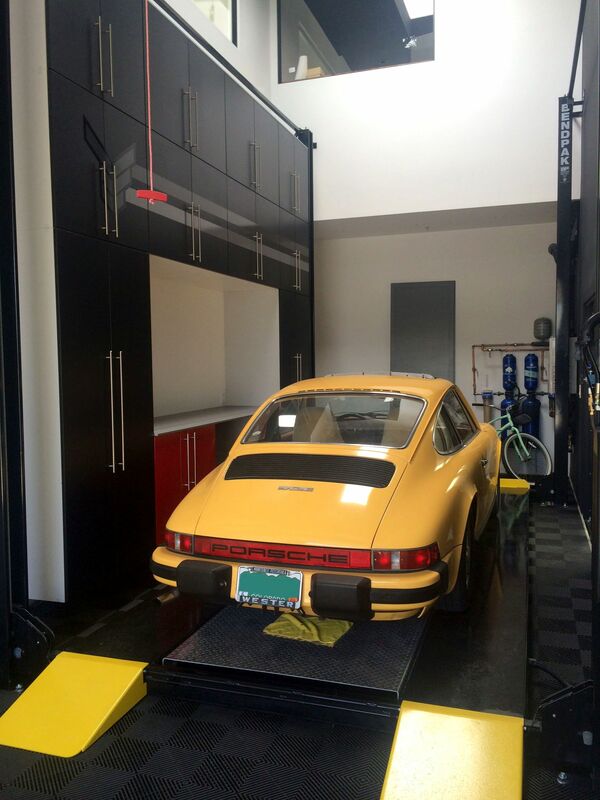 Plus, he came to us with grand plans to remodel his garage space around our lift. Pretty cool, right? No pressure. Not only that, he wanted the max height of his ​garage lift to rest in-line with his second floor. In other words, he wanted to create a second garage and showroom at the top level too. We knew which four-post lift he needed: the HD-7PXW. This tall, narrow lift can raise vehicles over 12 feet high. Its hydraulic cylinder is mounted under the runway, so it’s not visible in a sleeker home environment. The plan worked out flawlessly. Surrounding trophies are on full display, and his entire home is racer’s heaven. It would be the car enthusiast’s dream Air B&B stay, we can tell you that. The garage flooring and master bathroom sink is made of reclaimed rubber. Chevron tiles help create a “car feel” throughout the house. It’s all racing, all the time in the Tanner Foust residence. At the center of it all, our BendPak four-post lift raises and lowers Tanner’s low ground-clearance race beauties with ease. We’re glad he has found enough success in his career to be able to build his dream home and make us a part of it.